Avda. Fray Albino, 1, 14009 Cordova, Spain. 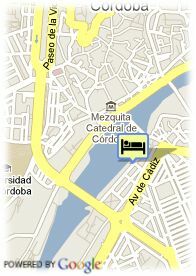 Hotel Hesperia Cordoba is situated on the bank of the River Guadalquivir. 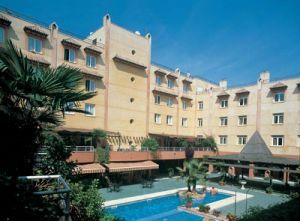 Opposite the old town and just a few minutes from the shops this hotel has a typical Andalusian patio and pub with panoramic views. It offers 108 well-equipped rooms with television, phone, air-conditioning and bathroom, restaurant, coffeebar, meeting rooms, swimmingpool, and parking.